Most doctors immediately reach for blood pressure medications to prescribe to people with high blood pressure. But a new study by Johns Hopkins School of Medicine researchers now shows that they are wrong to do so, as simple dietary changes are much more effective than blood pressure medications —without the side effects. The two most common diets recommended for high blood pressure are a low-salt diet and the US National Institutes of Health’s DASH diet. This research team decided to find out what would happen if people followed both these at the same time. They gathered 412 adults with high blood pressure. None of the participants were taking blood pressure medications. They put all of them on the DASH diet for 12 weeks and, during this same period, they randomly put each participant on low, medium, and high sodium diets for four weeks at a time. 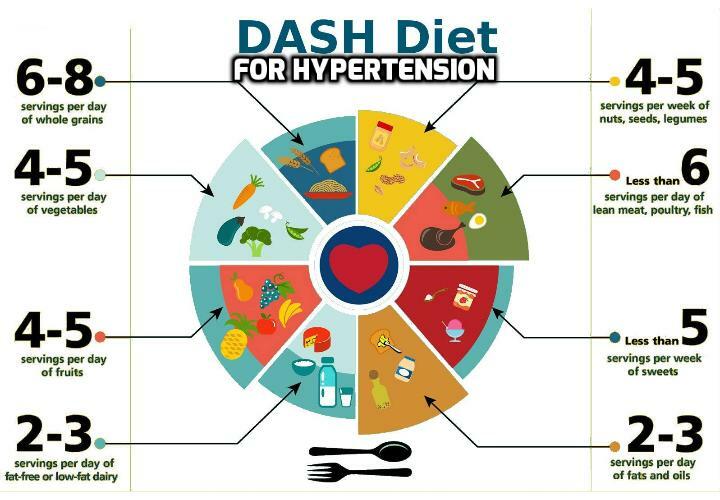 The participants experienced an average of 4 – 11 mm Hg reduction in systolic blood pressure when on the DASH diet alone. The higher their original blood pressure was, the more their blood pressure went down. Those with a systolic score between 120 and 129 dropped 5 mm Hg. 2. Those with a score between 130 and 139 dropped 7 mm Hg. 3. Those with a score between 140 and 149 dropped 10 mm Hg. 4. Those with a score from 150 upwards dropped 21 mm Hg. Firstly, it works best for those who need it the most, namely, those with the highest blood pressure. Secondly, beta-blockers and ACE inhibitors, the two most commonly prescribed blood pressure medications, lower blood pressure by only 10 to 15 mm Hg. This means that dieting is more effective than the blood pressure medications doctors prescribe, especially if your blood pressure is above 150 mm Hg. The participants did have their meals prepared strictly according to the two diets, so to achieve these results, you will have to be precise. The DASH diet is basically an Americanized version of the Mediterranean diet. It is rich in vegetables and fruits, and it encourages the intake of legumes, nuts, seeds, low-fat dairy, lean meat, fish, poultry and whole grains. It does not permit refined grains, animal fats, hydrogenated oils, or sugary treats or drinks. The US Food and Drug Administration recommends a maximum of 2,300 mg of salt per day, but this qualified as medium-salt intake in the study. To meet requirements for the low-salt diet, you should eat no more than 1,150 mg of daily salt. This means eating almost no processed foods like deli meats, chips, sauces, marinades, soups, sandwich spreads, and so forth. Now, if this sounds like too big of a dietary adjustment for you, then there is another option that doesn’t require dietary changes.